Melbourne-raised and now based in Iceland, Ben Frost delivered one of 2014’s electronic maximalist highlights with his album ‘Aurora’, and six months on this accompanying remix EP ‘Variant’ collects together five different reworkings of three tracks taken from that album. Particularly notable here is the sheer diversity of approach that each of the selected remixers brings to the table, meaning that even though one track appears three times, there’s no hint of repetition. While UK-based producer Evian Christ (who recently collaborated with Kanye West on the latter’s ‘Yeezus’ album) reshapes ‘Venter’ into vast and sleekly futuristic hiphop that laces ratcheting footwork snare rolls in amongst the post-rave synths, Melbourne duo HTRK take the same track and strip it right down to creepy minimalist analogue electronics, dubbed-out background textures bleeding into a monotonous bass pulse, in what’s easily the most contemplative moment on offer here. Elsewhere, Kangding Ray takes ‘No Sorrowing’ off on a dark post-EBM techno wander that’s easily this EP’s most peaktime dancefloor offering as gauzy synth sweeps add a vaguely trance-y edge to the reverberating percussion, before Regis maintains the 4/4 throb with his reworking of ‘Nolan’ the ghostly interplay of eerie background ambience and serrated electronics evoking the original track’s vast walls of sound. 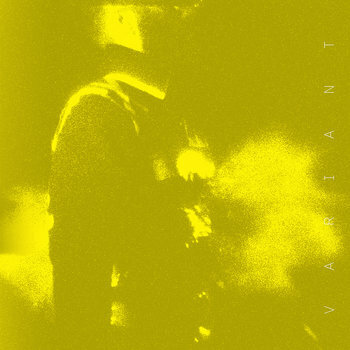 Excellent stuff, indeed – ‘Variant’ comes on limited 12” vinyl, with a download version also available.